Former Orlando Pirates goalkeeper Grant Johnson has backed SuperSport United goal minder Ronwen Williams to succeed Itumeleng Khune as Bafana Bafana’s first choice goalkeeper. “I worked with Ronwen from when he was 13-years-old. I know him from a young age,” Johnson told Phakaaathi. “For me as a goalkeeper you need to be able to play as a sweeper, past the ball to your wingers and dictate the tempo of the game. I think Ronwen is a quality goalkeeper, he can get better and eliminate some mistakes. His distribution is good. 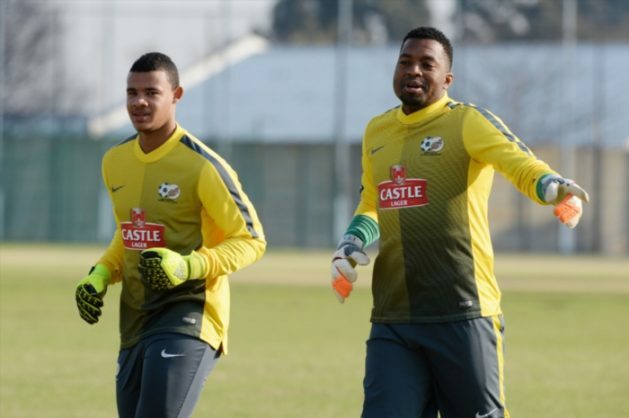 “I think he is one of those that need to put Khune under pressure for the Bafana goalkeeper jersey. I think Ronwen can do it, he has the ability to do it. I think he just needs to take his game to the next level,” Johnson added. Meanwhile, Bafana Bafana coach Stuart Baxter is expected to announce his squad for next week’s 2019 Africa Cup of Nations qualifier against Libya on Tuesday.